Waiting For Godot Event homeCustomer reviews HamiltonThe PromNetworkTo Kill a MockingbirdKiss Me KateHadestownOklahoma! ...the Galway company has tackled the equivalent of a theatrical Mount Everest, and they have done it with a kind of reverence paid to a master of twentieth-century's drama but also with the intention to capture faithfully his indelible style. 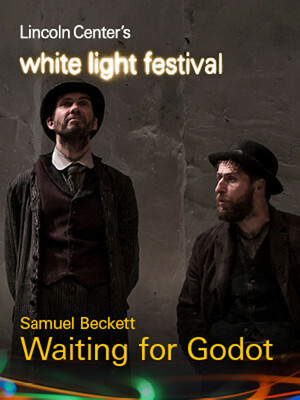 Why See Waiting For Godot? Lincoln Center's annual White Light Festival is back for its ninth year of illuminating theater, presenting a groundbreaking program of diverse works that reflect its ongoing theme of community, from the communal, shared experience of watching live performance to the global community at large. 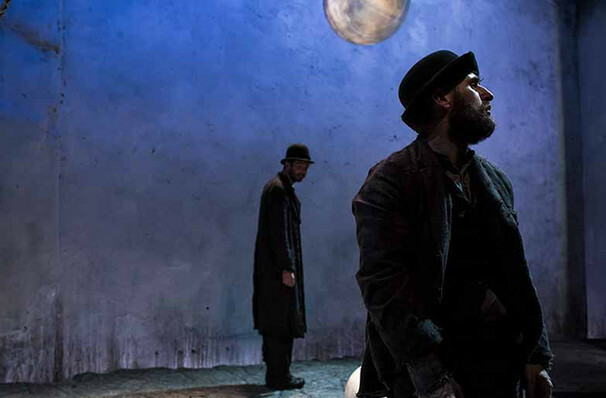 The multidisciplinary fall festival welcomes Irish theater company Druid and their critically acclaimed production of Samuel Beckett's tragicomic masterpiece Waiting For Godot. Helmed by Irish theatre director Garry Hynes, the first woman to win a Tony for the direction of a play, Druid's superb reimagining first debuted at the 2016 Galway International Arts Festival. 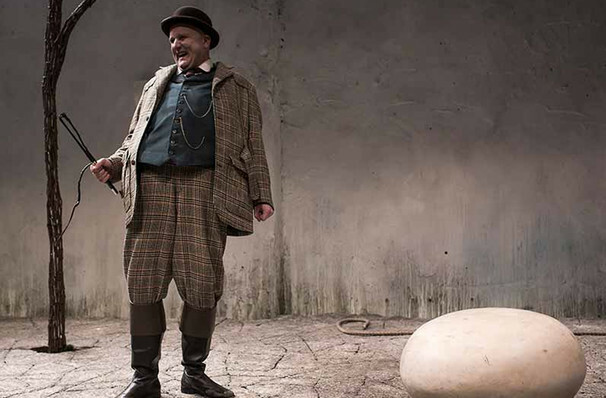 Hynes and the company fuse the irreverent tale with hallmarks of silent film, clowning and vaudeville, presenting a highly stylised, mesmeric choreography between Vladimir and Estragon whilst preserving the humanity and poignancy of their existential crises. What is Waiting For Godot About? 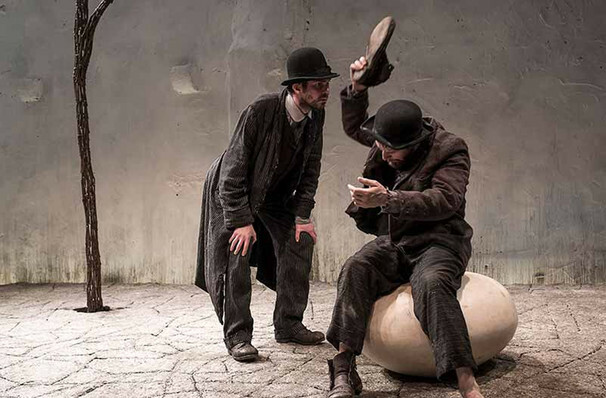 Written in the early 50s, Beckett's surreal play centers on the colorful conversations between two tramps Vladimir and Estragon as they wait for the arrival of someone named Godot. As they perform mundane tasks and converse about a wide array of subjects from the trivial to the serious, they encounter three other characters who compound their experience of nothingness, i.e. Vladimir and Estragon keep waiting for someone who'll never show up in a theatrical limbo that poses many an empirical question but answers none. Seen Waiting For Godot? Loved it? Hated it? Sound good to you? Share this page on social media and let your friends know about Waiting For Godot at Gerald W Lynch Theater. Please note: The term Gerald W Lynch Theater and/or Waiting For Godot as well as all associated graphics, logos, and/or other trademarks, tradenames or copyrights are the property of the Gerald W Lynch Theater and/or Waiting For Godot and are used herein for factual descriptive purposes only. We are in no way associated with or authorized by the Gerald W Lynch Theater and/or Waiting For Godot and neither that entity nor any of its affiliates have licensed or endorsed us to sell tickets, goods and or services in conjunction with their events.